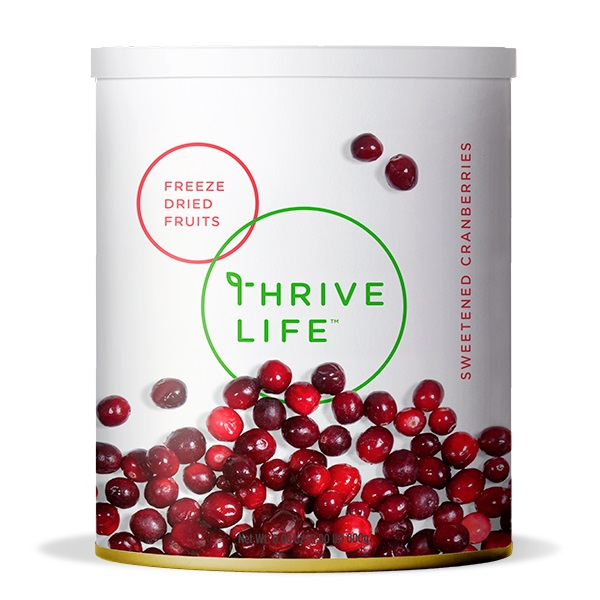 A rich medley of sweet and tart flavors ready anytime of the year, Thrive Sweetened Cranberries are the perfect addition to all of your holiday favorites. Snack straight from the can, mix them into cookies, or add them to your savory dishes to polish them off with a hint of sweetness. Sweetened Cranberries are a seasonal item and are only available while supplies last, so order yours today! To refresh, mix 1/2 cup of Cranberries with 2 Tbsp. of water. Let sit for 5–10 minutes or until soft.